Ranging in size, our distinguished event spaces feature Elizabethan and Tudor motifs to complement the Italian Renaissance architecture of the iconic Hay-Adams. Whether you are hosting a formal event or casual gathering, The Hay-Adams’ event and function rooms set the stage for high-profile conferences and unforgettable celebrations in Washington, D.C. The Hay-Adams can accommodate events of up to 340 guests, with our unique venues and spaces offer breathtaking views over the White House and the Downtown Washington, D.C. cityscape. As the crown atop The Hay-Adams, Top of the Hay boasts breathtaking panoramic views, including the best view of the White House that Washington, D.C. has to offer. The unique event space is wrapped in French doors and windows, and features trellis-like lattices under vaulted skylights. The famous Hay-Adams Room is one of Washington, D.C.'s signature event venues, featuring a warm ambiance amid rich woodwork, period ceiling details, and two working gas fireplaces. The Concorde Room features airy Belle Époque styling highlighted by hand-painted wallpaper and crystal chandeliers. 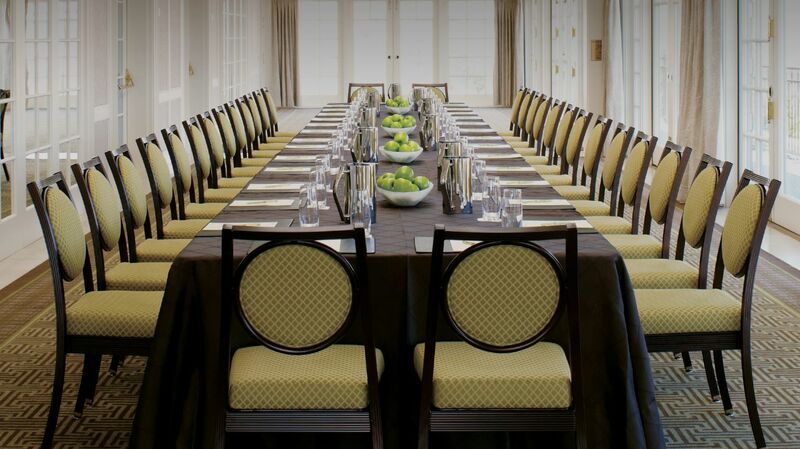 This Washington, DC meeting room is ideal for midsize conferences, business meetings or social affairs. The Windsor Room is grandly outfitted with brass chandeliers, an ornamental fireplace, ornate ceiling details, and silk-covered walls. This is the perfect space for more intimate meetings or social gathering. With its ornamental fireplace and views of Lafayette Park, The Lafayette’s Private Dining Room provides a refined atmosphere for an intimate or social gathering for up to 40 guests.